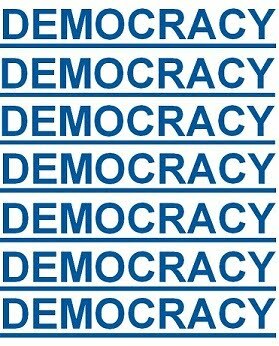 There can be precarious external circumstances under which making democracy function true to its ideals become challenging. We can overcome such challenges from within by improving ourselves. But it is a matter of serious concern to watch at the vagaries of Tibetan democracy within are being formalized as order of the day without a single finger going up. The executive, the legislature and the judiciary are the cardinal pillars of a successful democracy when they function independently of each other. It is not an acceptable practice when their functions and responsibilities overlap each other and when they over step into the sphere of other’s functions and responsibility. When such practices occur in any democratic system, it is not a good sign. In recent times it is becoming increasingly difficult to distinguish between the functions of legislature and executive branch of Central Tibetan Administration as far as policy statements are concerned. On several of the important issues related to the cause of Tibet, including the annual 10th March, two different official statements, one each from the executive and the legislative branch of our administration, have emerged, thus, making it difficult to see which of the two statements represent the official core policy or the stand of the Central Tibetan Administration in exile. This trend is unprecedented. Such overplay of responsibilities may prove to be an undesirable precedence specially when respective statements differ in its term and tenor. Such statements apparently tend to give rise to a belief that a system exist wherein crisscrossing of purpose as well as a confused sense of responsibility between different branches of Tibetan government-in-exile are accepted as a norm. In a matured democracy, the formulation of policy and its proper implementation, including its defense, is the sole responsibility of the executive. To legislate laws and to provide check and balance to the executive is the responsibility of the legislature. It is the constitutional duty of each branch of Central Tibetan Administration to adhere strictly to these principles of democracy. Since our democracy is devoid of party system, an essential component of a successful democracy, the most important responsibility of the Tibetan Parliament in exile is to provide watchdog of the executive headed by the Sikyong. The responsibility of this nature should have gained more importance and relevance after the devolution of political authority and responsibility to a directly elected leader by His Holiness the Dalai Lama in 2011. On the contrary, the legislative branch of our administration since then has increasingly engaged either in positioning itself in a role similar to that of the executive or in the defense of policies which normally should be domain of the executive branch of Central Tibetan Administration. This trend, in spite of the best intentions, is neither good for the success of our democracy nor a congenial prerequisite for the success of Tibet’s cause. The job of formulation and defense of policies must be left to Sikyong and his team of Kalons. The purpose of parliament will be better served if the members of the Tibetan Parliament-in-exile put to task the Sikyong and his Kashag for the proper and effective implementation of various policies approved by the parliament. The speaker playing the role of a disinterested umpire in the house will greatly enhance the prestige as well as democratic purpose of the house. It is also interesting to note now a day that at several ceremonial and public meetings both Sikyong and Speaker share same space. Apparently nothing is wrong if it is not a pattern that is meant to depict equal importance of them under our system. If it is planned pattern then there is a need to understand that their respective importance applies to their respective functions, one as head of the government and the other as presiding officer of the parliament. They both hold important positions under our system. But they are not equal partners holding equal shares in each other’s sphere of role and functions. A speaker is not a judge. A speaker cannot pass judgment on views expressed by private members of the legislature. For this reason a Speaker in other democracies neither participates in debate nor gives speeches in the house. The constitutional responsibility of the Speaker is “to ensure orderly flow of business and to see that legislative rules are observed”. It is also an important responsibility of a Speaker in a vibrant democratic legislature “to defend the rights and privileges, including the freedom of speech, of its members”. The practice of such established tradition in our system was brought into question during the Speaker’s recent response to a private member motion withdrawing his support to the Middle Way policy. The will of the Tibetan Parliament in exile, thereby the will of the people, is better expressed, clearly and emphatically if necessary, through a resolution after discussion and a vote. Chances that time were that the house would have turned down the private member’s demand with a huge margin. Oddly this was not allowed. The Speaker’s unilateral interpretation and defense of existing policies can neither be construed as valid defense by the government (CTA) of the policies in question nor can be viewed as the expressed will of the Tibetan Parliament in exile. With absence of an impartial umpire an opportunity was lost that day to make our democracy more vibrant and stronger. On the contrary a wrong message is gone out by signaling danger of a lone view of a private member. Our beloved leader His Holiness the Dalai Lama had given us the responsibility to make our democracy function for an important purpose. 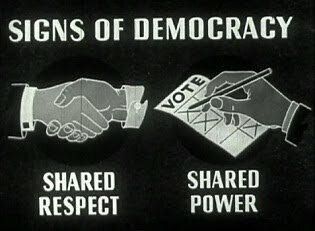 A sincere practice of sound democratic principles is key to unite us and to strengthen our cause united. We must not lose sight of this visionary purpose set before us by His Holiness the Dalai Lama. Therefore, each one of us has a solemn responsibility on our shoulder to support and strengthen the working of our democracy. I hope this brief article is viewed from that angle.